This Oyster Neptune features a gold filled Oyster case with original gold capped Oyster Patent crown. 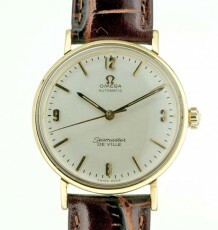 The dial features an original 2 tone colour pattern with raised metal Arabic numerals. 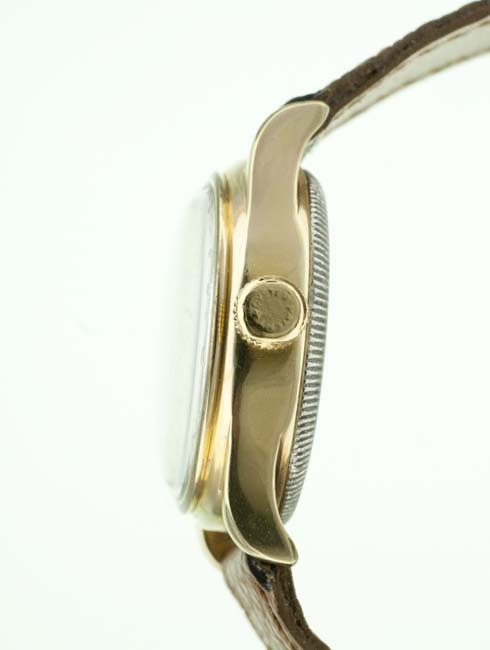 The watch is fitted with thin gold stick hands. 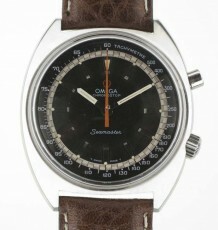 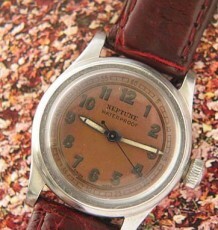 The dial has a rich brown patina that appears to be ultra violet aging. 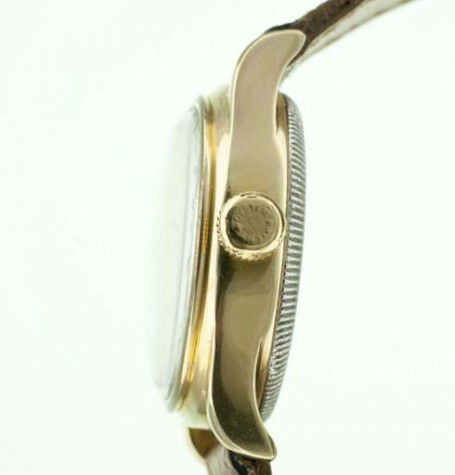 Inside the Oyster case the watch is powered by a 17 jewel Rolex modified calibre 59 movement. 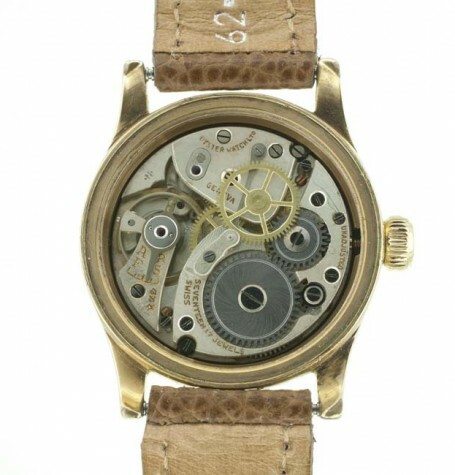 The movement is the rarer model signed Oyster Watch Company and on the balance bridge the plate is also signed ROW for Rolex Oyster Watch. The watch was recently serviced. The case back of this Oyster Neptune is signed Oyster Watch Company on the inside with a reference number of 3478 and has a light personal engraving showing it was likely a gift in the early 1940’s. 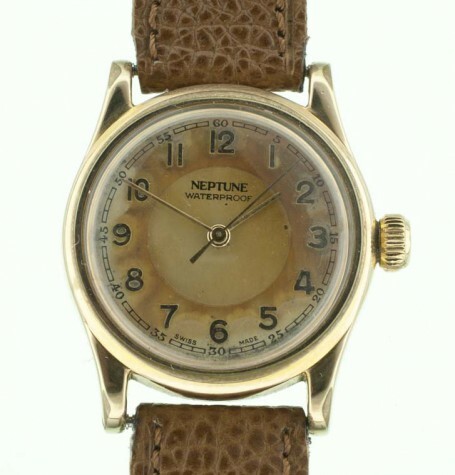 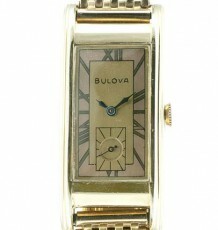 The serial number of the watch indicates a production date of about 1941. 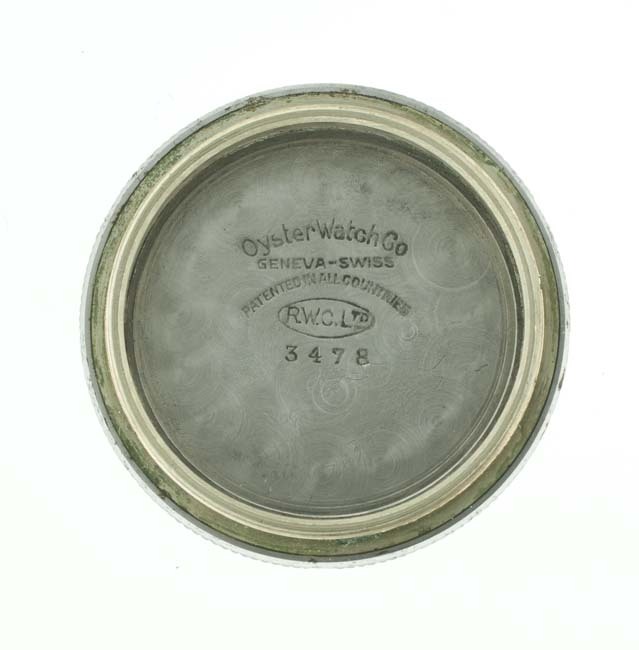 The case measures 30 mm wide by 35 mm long. 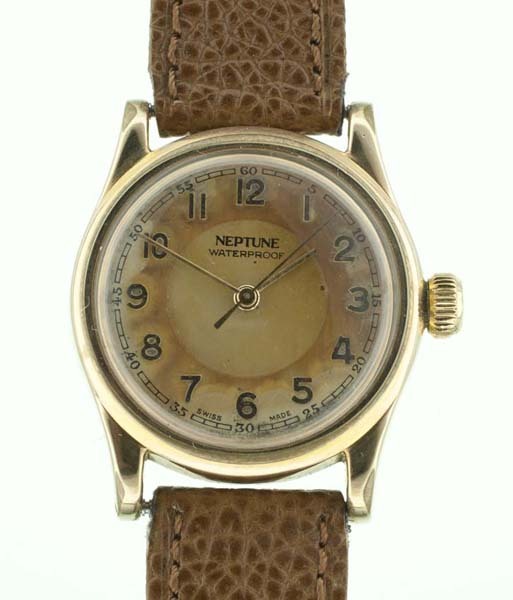 The watch can be supplied on the vintage French leather strap pictured on the watch or a more modern black or brown leather strap.